One of the best ways to put your mortgage refinancing equity cash to good use is by investing in home renovation. The right home improvements can increase the property’s resale value significantly in addition to bettering the quality of life for your family. 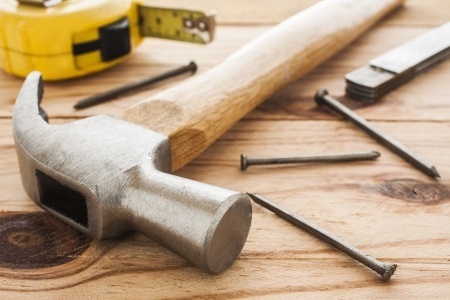 We look at 5 interesting home improvement ideas you could implement with the refinancing money. The kitchen is often considered the heart of the home. That’s why any improvements to the kitchen are almost guaranteed to raise the value of the home. The cost of a kitchen remodel can range anywhere from $1,000 to $100,000; or more. It all depends on how far you want to go. At the minimum, the kitchen should get a fresh coat of paint. Replace older or outdated appliances with preferably energy-efficient, environment-friendly models. In case the house has only one bathroom, consider adding a second one. Finding space for a new bathroom may be challenging especially if you do not already have any extra rooms in the home. However, a little creativity goes a long way. Identify unutilized spaces such as rarely used closets or the area below the stairs. Note that you will need a minimum of 18 square feet for a half bath and at least 35 square feet for a full bath that includes a stand up shower. A bath tub will need 35 square feet or more. Shop around for great deals on toilets, doors, tubs and fixtures. Adding a new room increases your home’s square footage but can be a fairly costly undertaking. In addition, the final cost can be unpredictable since some challenges will only crop once the process is already underway. Like the bathroom, it is best to repurpose existing space in order to reduce the likelihood of spiraling, unpredictable costs. You can remodel the attic into a bedroom, convert the garage into an apartment that you will rent out or recreate the basement into a second living room. Today’s home buyer is more energy and environment conscious than ever before. A considerable number of buyers would consider the old, single pane window unacceptable. Modern, energy efficient windows can save you as much as $500 a year in cooling and heating costs. You qualify for a 10% renewable energy federal tax rebate if you fit Energy Star rated windows. There may also be additional credits at state-level or from the power utility company. Homes that lack standard insulation, or have aging doors that allow in cold or hot air, can be expensive to live in. For this reason, property inspectors will include this information in their report to prospective home buyers and lenders. Yet, it does not cost a lot of money to make your home energy efficient. By effecting some basic changes such as sealing cracks and adding insulation caulk, you can save at least $2,500 per year in energy costs. There are numerous options when it comes to home improvement. For best results focus on projects that add comfort, character and energy efficiency to your home. This entry was posted in Blog and tagged home improvements, improvements refi by Scott Li. Bookmark the permalink.